Vincent Law Firm, P.C., in Southern Shores, North Carolina, provides experienced representation for workers' compensation and a broad range of other legal matters. The law firm is dedicated to providing experience, service and results to every client. Attorney Branch W. Vincent handles cases pertaining to workers' compensation, Social Security Disability, automobile accidents, personal injury, wrongful death, slip-and-fall accidents, professional malpractice, sexual harassment in the workplace, estate litigation, real estate litigation, workplace litigation, insurance litigation, maritime and admiralty litigation, and state and federal court appeals. He also can assist with matters related to the Federal Employers Liability Act, Federal/State Tort Claims Act, Defense Base Act, and Longshore and Harbor Workers' Compensation Act. 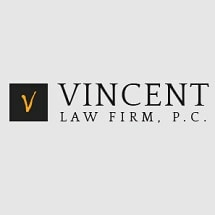 Mr. Vincent is board-certified in worker's compensation, is a Department of Veterans Affairs accredited attorney and has been practicing law since 1986. Additionally, he also has served on the state bar committee that writes and grades specialty exams for workers' compensation. Attorney Vincent was selected for inclusion in the North Carolina Super Lawyers from 2010 to 2012. For a free initial consultation with an experienced Southern Shores lawyer regarding your legal matter, contact Vincent Law Firm, P.C. The firm serves clients statewide for their injury or disability claims, or other legal concerns. Past President, Outer Banks Babe Ruth Baseball, Inc.
Past Director, Outer Banks Babe Ruth Baseball, Inc.
Vincent law is a North Carolina personal injury lawyer that can help no matter what kind of personal injury you suffered. At my Southern Shores law firm, people often tell me about stories they have heard from others — about how people with the same injuries received a certain number of benefits and how my clients expect the same amount. The law protects workers. People who are injured on the job are often entitled to financial compensation that helps them make ends meet and get necessary health care until they are fully healed and can go back to work.